Everyone living on this planet knows the importance of their feet in their everyday lives. However, very few care for them. According to multiple surveys in the US, more than 73% people, both men and women, report having at least one foot infection or problem in their entire lives. And what’s worse? Women having a foot disease or infection during pregnancy, and today, we are going to discuss just that! What can happen to my feet during pregnancy? As we know that pregnant women have a hard time walking and performing other daily tasks because of the additional weight they have to bear. Well, due to the excess load on the feet, they often complain of having foot pain and swelling. Not only that, reports also suggest that many of them have foot infections during that time as well! Why? Unfortunately, after a survey was conducted, the results concluded that only 3% of people, with most of them being women, wear sandals or other open shoes. When women are bearing a child, their feet tend to get more sensitive, meaning they are more vulnerable to diseases and infections, and perspire and sweat more. The excess moisture from the sweat leads to fungal infections, which are not only painful, but can also restrict movement. So, the next question arises. How to keep your feet healthy during pregnancy? I’m glad you asked! There are many factors involved in keeping your feet healthy, and in this extensive guide, we are going to go into detail for each one of them! You need to keep in mind that there are many foot problems that can occur during pregnancy, and can be controlled by avoiding certain stuff like pointed shoe boxes, high heels, etc. So, here are some of good tips that can help your feet in staying healthy during the time of your life! Sit on a chair with your bare feet, and slowly move away each of the toe from the other, without curling or extending them. This will increase the flexibility of each individual toe. Place your feet flat on the toe, and lift yourself up with only your toes. Repeat this up to 10 times a day, as this will contribute to the strength of your foot and toes. This may sound weird at first, but as the months pass, you’ll get why I am saying this. As the child grows inside the mother’s womb, the mother also gains some weight and her hands and feet tend to get bigger. Buying them before that happens will decrease the chances of swelling that happens by wearing shorter socks and shoes. Also, be sure to buy thinner socks to allow easy extra breathability for your feet so that they won’t get super-sweaty, especially the heels. Comfy and lightweight shoes are also a good choice as many women prefer wearing low profile shoes for more flexibility as opposed to cushioned shoes worn by athletes which contribute to extra weight. This one is not only a tip, but also a necessity as staying active leads to more use of the feet. If you lie around all day or just watch T.V. 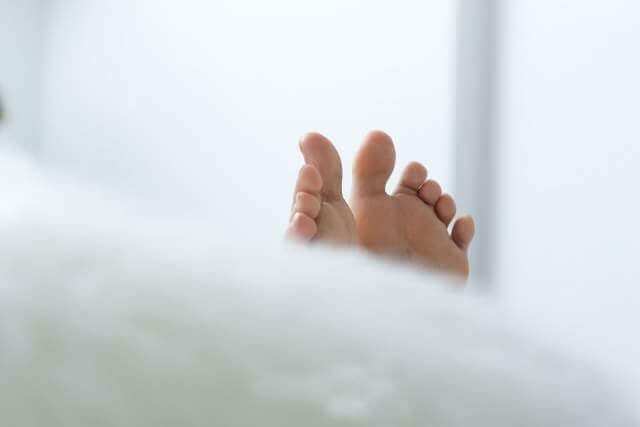 in the bedroom, your feet will get numb, which means a lot of trouble for women that are pregnant. In addition to staying active, you should also exercise twice a day as this will increase the overall flow of blood in your body, so don’t sit too often and keep yourself from lying down for prolonged periods of time, unless you are sleeping or if it is absolutely necessary. Put your feet up for as long as you want. This will lift the weight that your feet has been bearing for hours, and is a good way to give your feet some rest. Whenever you are sleeping, lie on your left side as it will get your baby of the main vein called the vena cava. I won’t get into the details, but it is a vein that pulls blood from all over the body, so it will reduce the swelling to a large extent. 5. 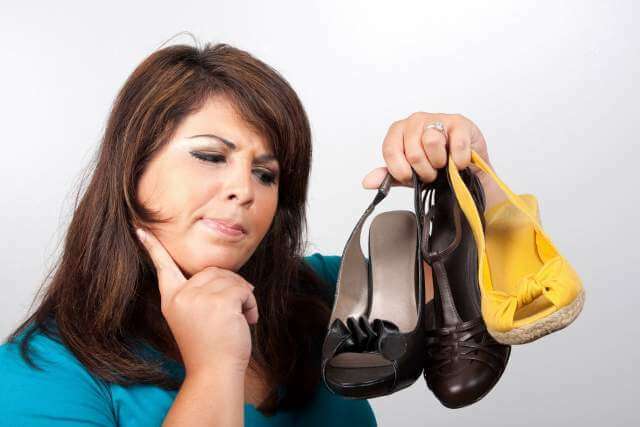 Say no to narrow toe boxes and high heels! Although these problems sound like they are inevitable, with proper treatment and prevention, you can go through the period with no pain whatsoever! If you found these tips helpful, be sure to share this article with other pregnant friends and family so that they may benefit as well! Lisa Miller is the founder and editor in chief at FootCareSource.com, a foot health blog dedicated to provide trusted advice and information about foot health, foot wear and foot friendly lifestyle choices. 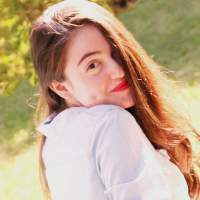 Check out her blog to find more about Lisa and her work. Wow, I never knew that more than 73% of people report having at least one foot infection or problem in their entire lives. I had to go to the podiatrist recently for a check-up. Thanks for the tips on how to keep your feet healthy during pregnancy.